Casting is complete for the upcoming third national touring production of the mega-hit musical Hamilton. The tour will begin with a previously announced Puerto Rico engagement starring the show's creator and original star Lin-Manuel Miranda in the title role. That stop will run from January 8-27, 2019 at Teatro UPR, the theater at the University of Puerto Rico’s main campus in San Juan. Donald Webber Jr. will co-star as Aaron Burr for the Puerto Rico run, with Julius Thomas III taking over as Alexander Hamilton beginning on the San Francisco stop. 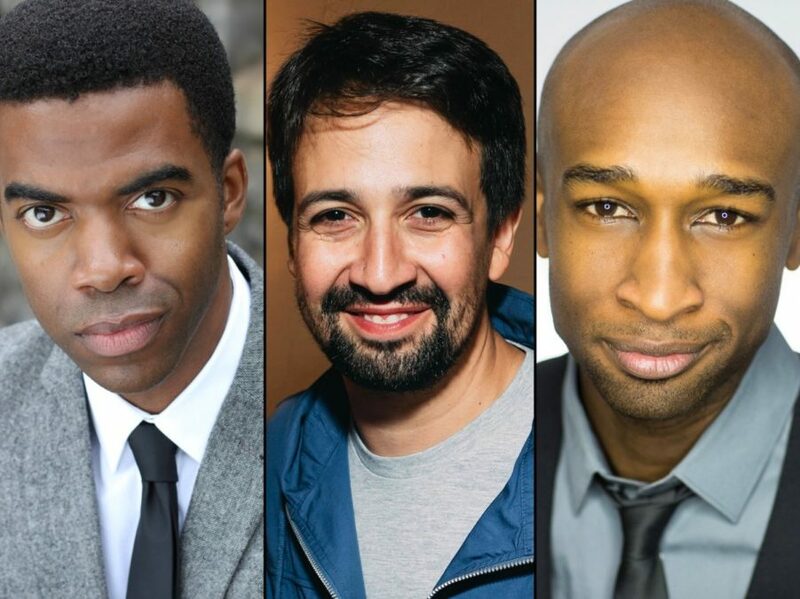 The tour will also star Brandon Armstrong as Hercules Mulligan/James Madison, Rubén J. Carbajal as John Laurens/Phillip Schuyler, Darilyn Castillo as Peggy Schuyler/Maria Reynolds, Julia Harriman as Eliza Hamilton, Isaiah Johnson as George Washington, Simon Longnight as Marquis de Lafayette/Thomas Jefferson, Rick Negron as King George and Sabrina Sloan as Angelica Schuyler. The third national tour will also feature Darnell Abraham, Christopher Campbell, Brendon Chan, Rebecca Covington, Trey Curtis, Hope Endrenyi, Camden Gonzales, Jordana Grolnick, Marja Harmon, Jennie Harney-Fleming, Vincent J. Hooper, Kelsey Kramer, Alex Larson, Jennifer Locke, Tiffany Mellard, Dashi Mitchell, Sheridan Mouawad, Antuan Magic Raimone, Elijah Reyes, Willie Smith III, Alex Swift, Emily Tate, Brion Watson, Kyle Weiler, Andrew Wojtal, Morgan Anita Wood, Deaundre' Woods and Christopher Henry Young. Based on Ron Chernow's biography of Founding Father Alexander Hamilton, the musical features a book and score by Miranda, with direction by Thomas Kail, choreography by Andy Blankenbuehler and music supervision/orchestrations by Alex Lacomoire.